Item EA-600-2609a - "Finger-Tips Like Face to City Print Experts". Const. Elmer Leslie matches finger prints. "Finger-Tips Like Face to City Print Experts". Const. 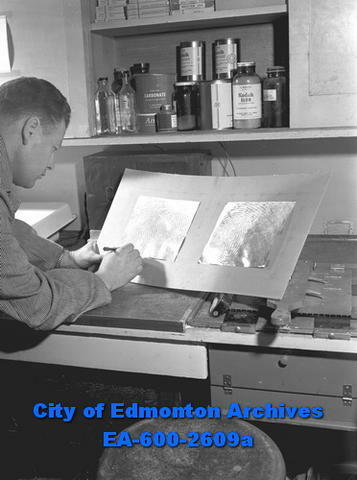 Elmer Leslie matches finger prints.